The wars that consumed the planet in the first half of the 1900s were called many things - the Great War, the War of Nations, the War to End All Wars - but none of these names do them justice. World War I and World War II defined their generations and reset what it means to be American - and what it means to be human. And yet, the memories fade. As time rolls steadily onward, these crescendos of the past become faint whispers in our collective memory. With each new generation, we grow further from our direct links to these crucial stories of the human experience. These stories spanned the globe long ago, but we are so fortunate to have a slice of this history live on right here in Virginia Beach - a place where we can experience, on some small level, what it might have felt like to be alive at the time. We may never see it in full color like those who lived it, but we must seek to understand the lessons that they learned. The images will become yellow and faded with the passage of time, and that’s okay. But we must never forget. 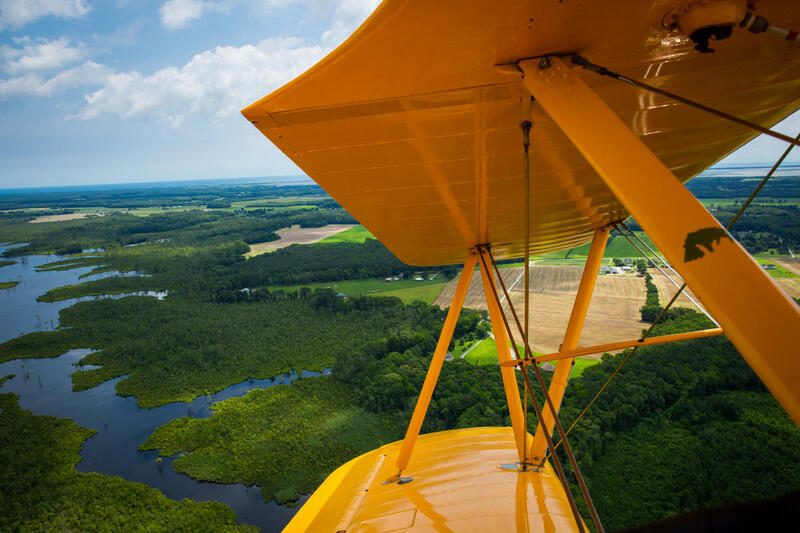 The Virginia Military Aviation Museum, in Virginia Beach’s Pungo District, is a portal back to this all-important era. The vintage 1930s Art Deco airplane hangars and sprawling airfield are something that must be experienced for locals and visitors alike. 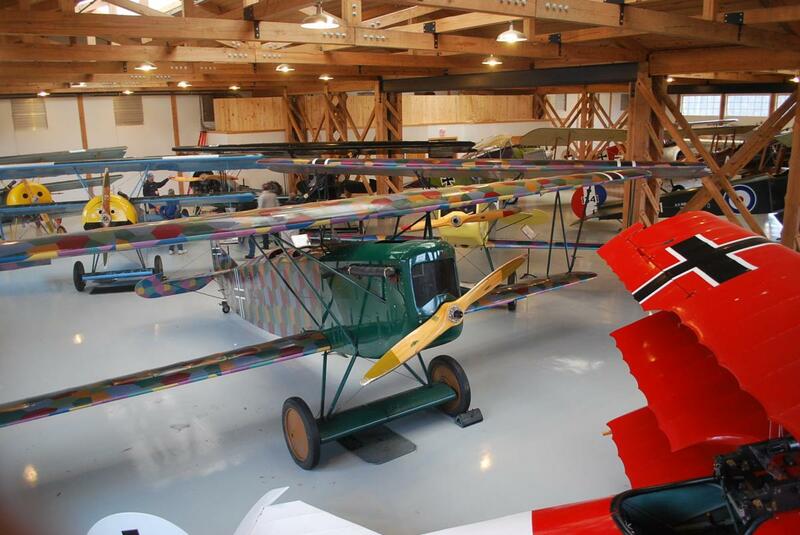 With 70 planes from the first 50 years of military aviation, most of which have amazingly been restored to their original flying condition, the museum holds one of the largest private collections of WWI and WWII era military aircraft in the world. As you walk through the marvels of American, British, Russian and German engineering, unencumbered by the ropes or rails of traditional museums, it is impossible not to be moved. It is here where the stories of the brave young men and women who came before us truly come to life. 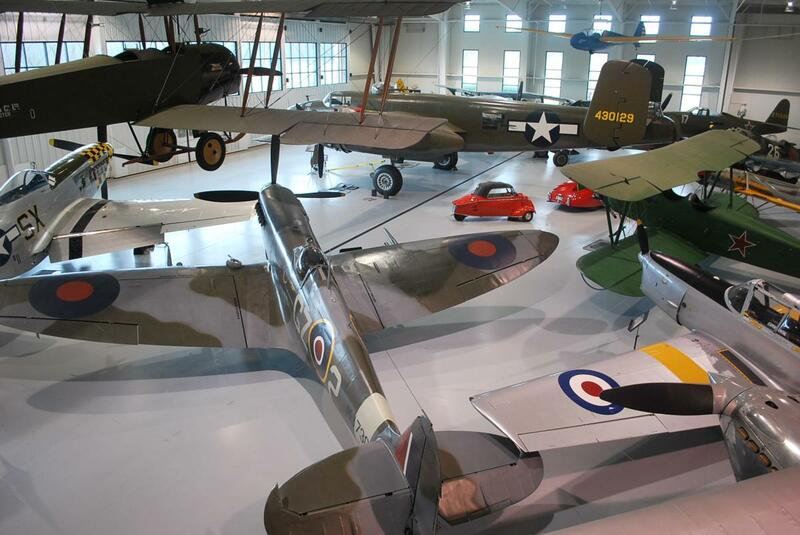 The museum consists of several buildings and hangars, each with their own unique stories to share. 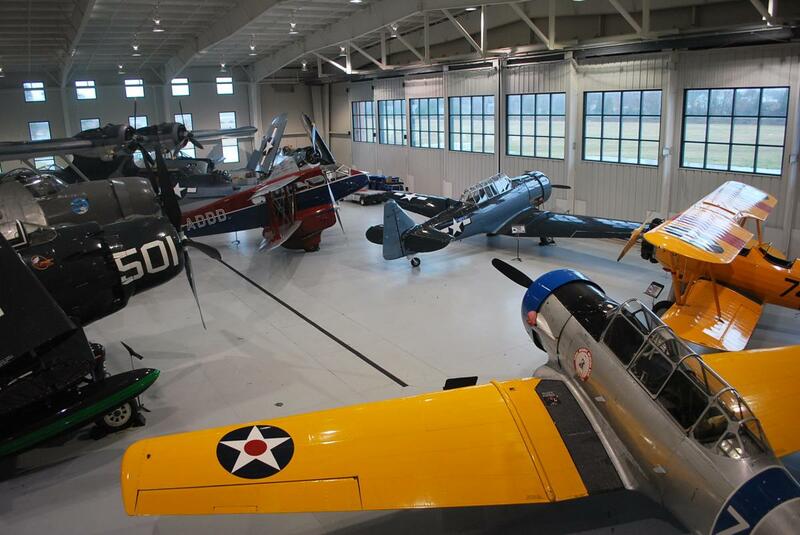 The main building consists of two hangars, the Army Hangar and the Navy Hangar, where the museum&apos;s extensive collection of WWII planes resides, including the well-known P-51 Mustang, the German Messerschmitt Me-262 and the extremely rare de Havilland Mosquito. 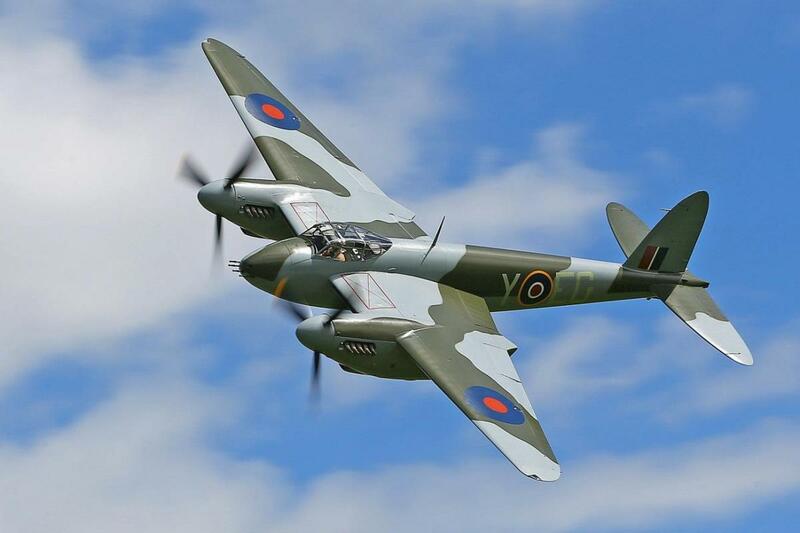 Nicknamed “The Wooden Wonder,” most wartime de Havilland Mosquitos have not withstood the test of time, making this specific aircraft highly unique. Further out on the museum’s campus is the Luftwaffe Hangar. The big, rounded metal hangar is an actual 1934 German structure that was brought to Virginia Beach from Cottbus Air Base, in Brandenburg, Germany, and rebuilt in 2012, still riddled with bullet holes from when Russian forces opened fire on it. When crews were rebuilding it, they found a name carved into one of the support beams with the words “He worked here.” in Polish, dated October 14, 1944 - thought to be carved by a polish slave laborer. The hangar now houses the planes manned by the fearsome German Luftwaffe - a chilling reminder of the full might of the Nazi forces. Nearby is the WWI Hangar - a beautiful wooden structure with open rafters that houses the museum’s extensive collection of WWI-era planes. Most of these planes are made of fabric and wood, and stand on what look to be your average bike tires, highlighting how quickly aviation technology advanced from WWI to WWII. 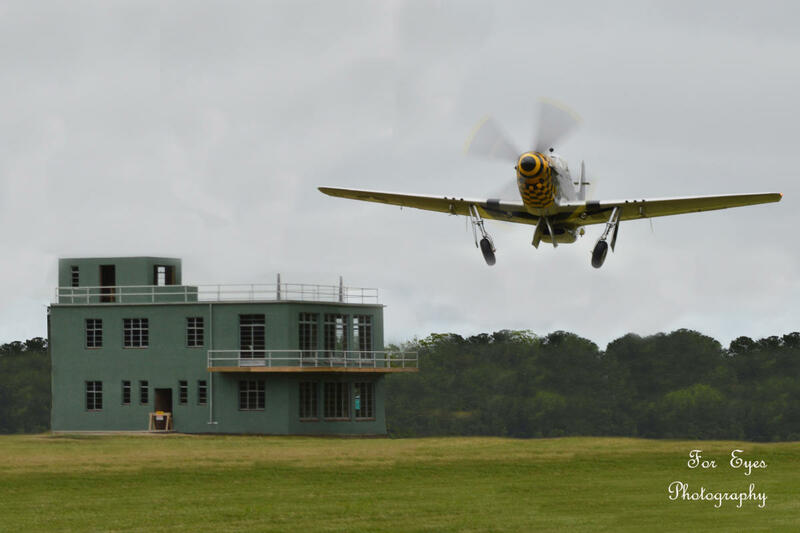 New to the museum’s collection is the control tower, or ‘watch office” as it was known by the British, of the first American airbase in England during WWII. The Royal Air Force Base, built in 1940, was located in Goxhill, England, about 200 miles outside of London. In 1942 it was turned over to the United States Army Air Force in a ceremony involving General Dwight D. Eisenhower. With the threat of war escalating quickly in England, the buildings were made so cheaply, the builders didn’t even use mortar, cementing the bricks together instead. This made it no small task to deconstruct the building to get it to the United States. Crews worked carefully, pushing down walls and transporting the slabs of brick and cement to Virginia Beach to be put back in their proper place. While the Aviation Museum is working to finish the interior of the structure, including installing the radio equipment appropriate to the era, the control tower looks identical to how it would’ve looked to any young American pilot reporting for duty in 1942. Today it stands as a monument to the 180,000 Americans who served in England throughout the war. In addition to being able to see and touch this important history firsthand, visitors to the museum can also see it truly come to life. At the end of each spring, the Annual Warbirds Over the Beach airshow takes many of these amazing flying machines to the skies of Virginia Beach. With historians, live WWII-era music, and performers and pilots dressed in clothing from the time, this is as close as you can get to experiencing what it would’ve been like to be alive in the 1940’s. While seeing the planes take flight is a rare experience in its own right, it’s hard to explain the feeling you’ll get when you hear the sound of an inline 1,720 hp Rolls-Royce Merlin roaring to life. It is a transcendental experience that will transport you to another place and time without even having to leave the ground. For those who want to be airborne, however, the Aviation Museum offers visitors the chance to experience what it is like to actually fly a couple of these historic beauties. Taking off from museum’s grass runway, a ride in their 1941 Boeing Stearman PT-17 Kaydet or a 1989 Waco WMF-5, each complete with helmet, headset and an open cockpit, provides a surreal bird’s-eye view of the area that will have you feeling like a member of the Golden Generation. While the Virginia Military Aviation Museum can only offer a small glimpse of what life was like for some of our history’s bravest men and women, it is enough to keep the memory of what happened alive another day. Come for the sheer horsepower. Stay for the inspiring example of what can be achieved when we come together for a just cause.